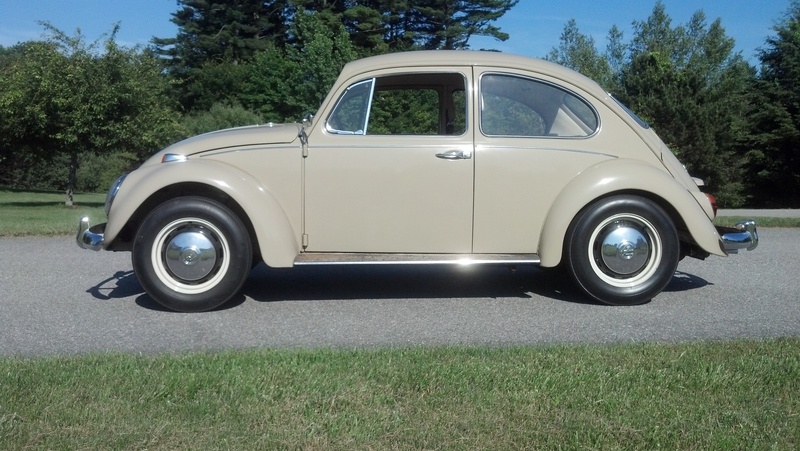 It’s rare here at 1967beetle.com that we see a car as rare as this. 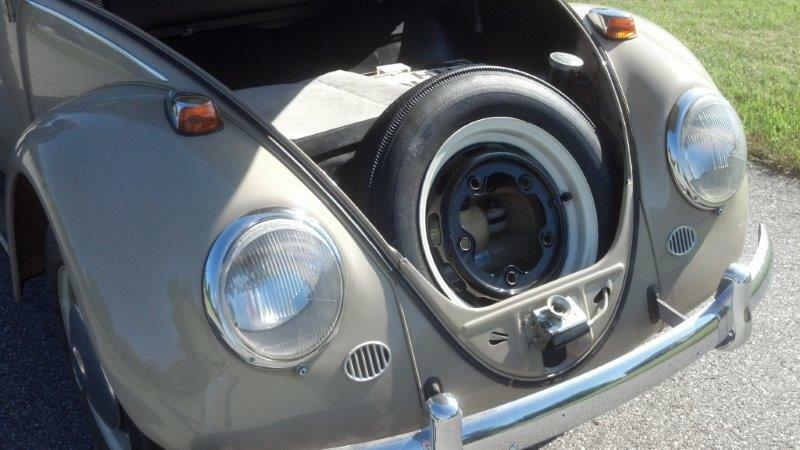 Chris Ryder’s Euro ’67 Beetle is a time capsule. Apparently, it even still has German air in its original tires. I’ve owned this ’67 since about 1985. 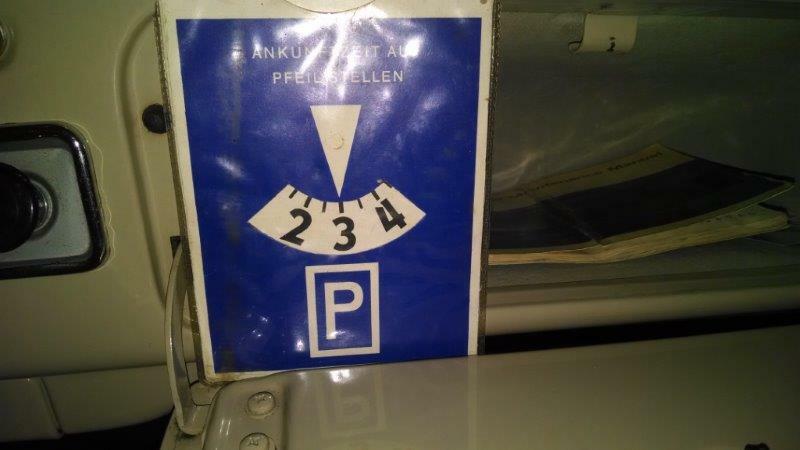 I bought it from the original owner in Germany. 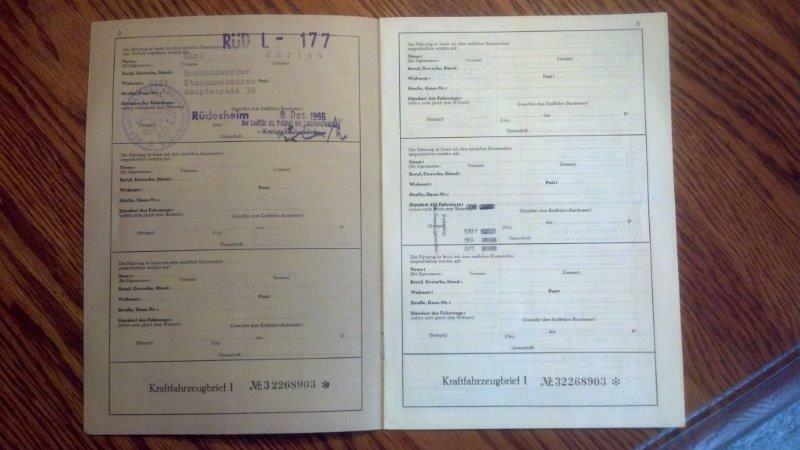 I still have the original German Kraftfarzeug brief with the original owner signature and factory info about car. This car is so original that it still have the 5 original tires that it came with new from the factory, and all 5 still hold air. It now has about 29K kilometers total mileage since new. Absolutely everything on the car is as original and untouched. 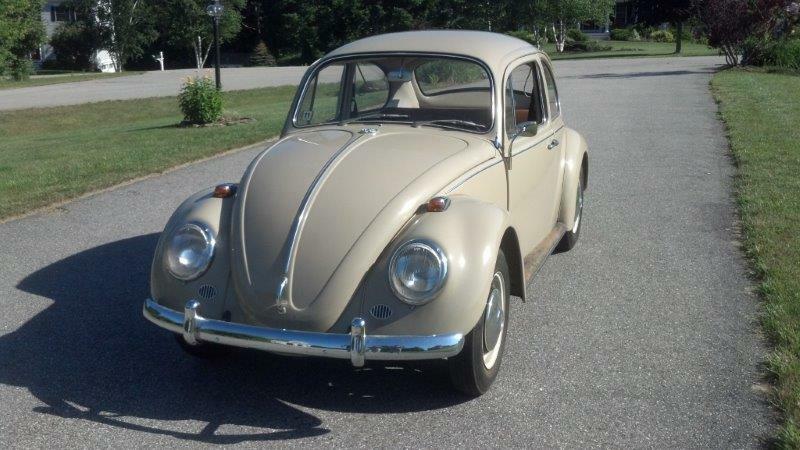 No rust (except surface rust on heater boxes and muffler), no accidents, no paint or interior mods. 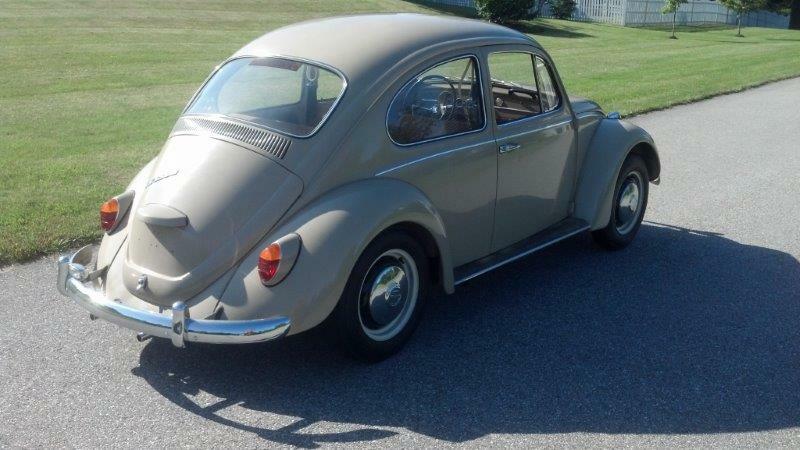 Thanks, Chris, for sharing your ’67 with 1967beetle.com. What an absolutely outstanding auto! Very interesting to see this and compare the difference in features that Jay was pointing out. 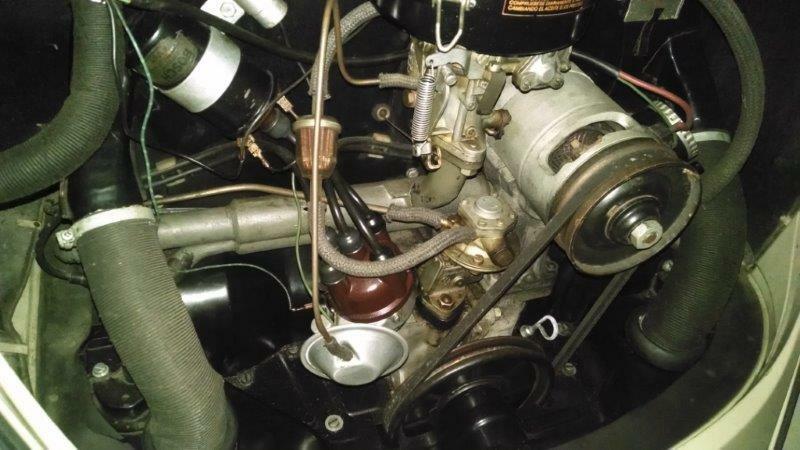 (The inline fuel filter scares me on this car – would be tragic to see anything happen from that). Perhaps Jay is curious about some items which would complement other items/parts which could possibly be seen on export vehicles vice the home Country. 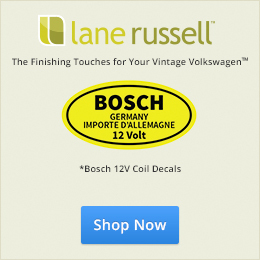 One could special order twelve volts, would that include the “lightning bolt”? Depending on the exact color, maybe some would have different colored running board covers. Where does the left pre heat tube attach? Breast plate, hard to discern holes for the pre heat tubes. Engine seal? 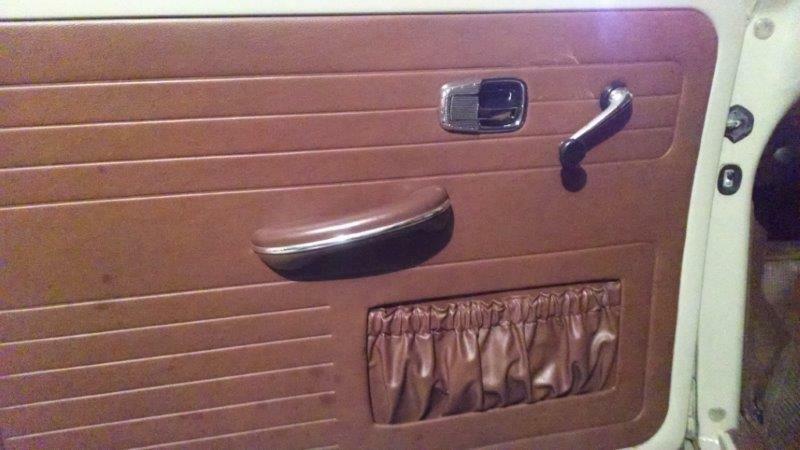 Seat and door panel, not red enough for Indian red, teak brown maybe? 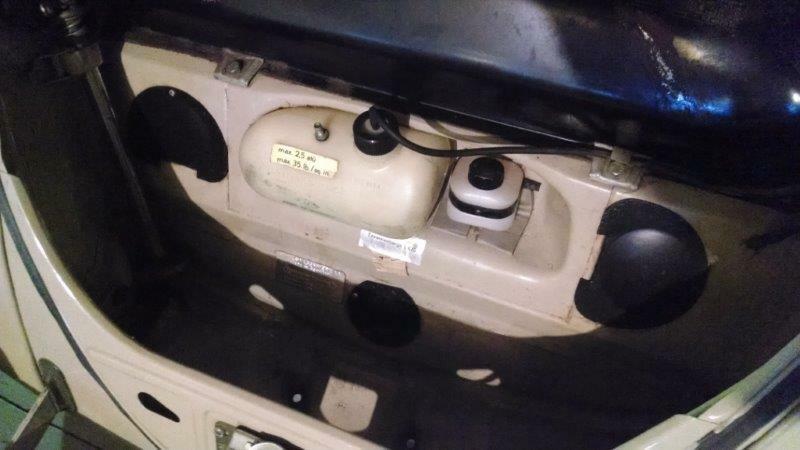 The single air cleaner pre-heat tube goes forward through the front tin to a fitting on the left heater box like late US ’66 1300’s have, and it has wide five wheels with drum brakes. 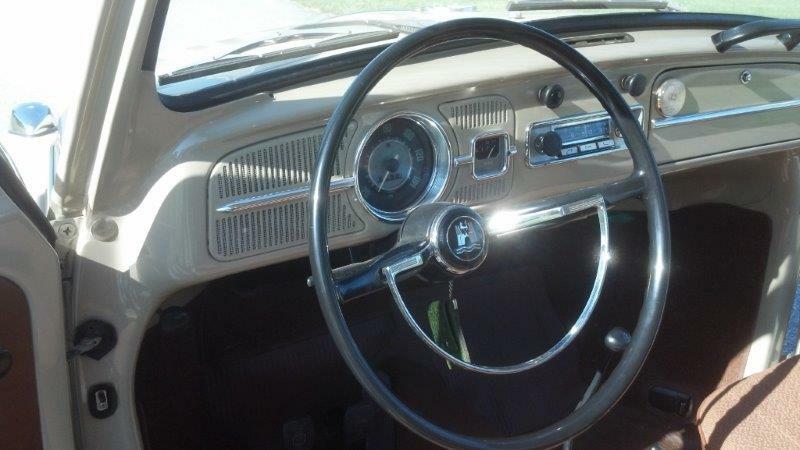 That makes it a middle of the road 1300 Deluxe as top of the line German 1500 Deluxe would have dual pre-heat and four bolt wheels with disc brakes. And that is the 105mm HD 6 volt generator like US ’66 Type II has. Very nice!!! 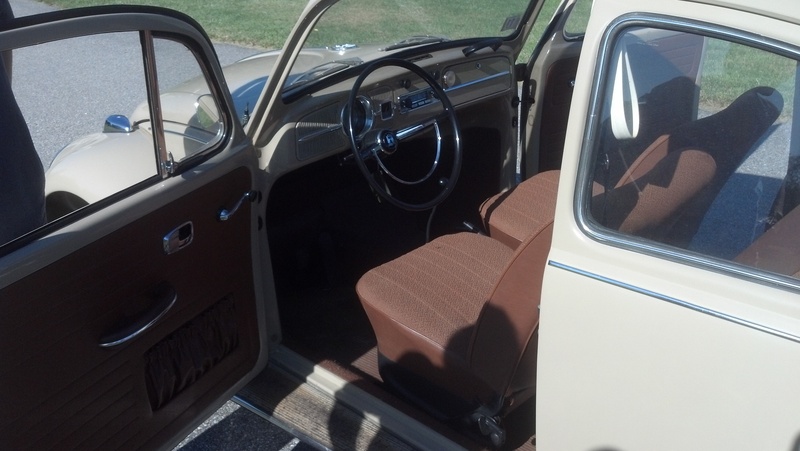 The interior color code is #59 Mosaic Teak…not often seen. I picked up a euro 67 a few months ago for a parts car. The interior and paint are the same colour as this car. 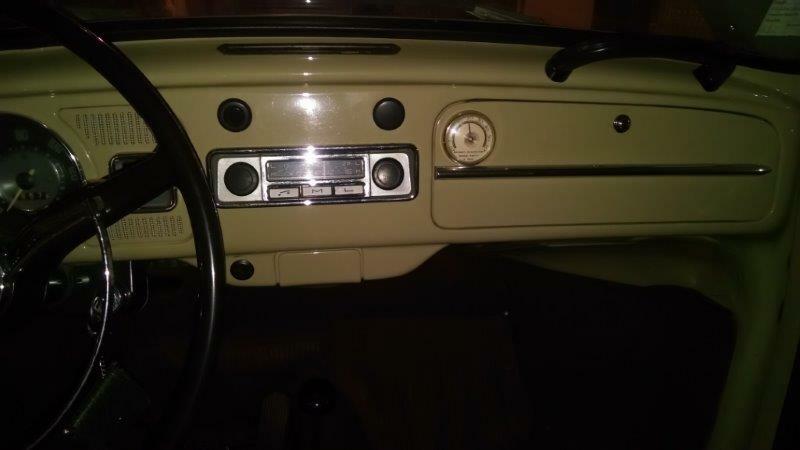 (the condition of the bug isnt the same though).The running boards and fender beading are black also. There is no flasher switch either. It’s 6 volt 1300 (f case, original motor). 66 style headlights. But the bumpers have overriders with holes in fenders and apron,but no reverse lights. The bumper brackets are grey. (original bumpers). There are shoulder belts also. The trans is like a 66 with 67 axles and brakes. 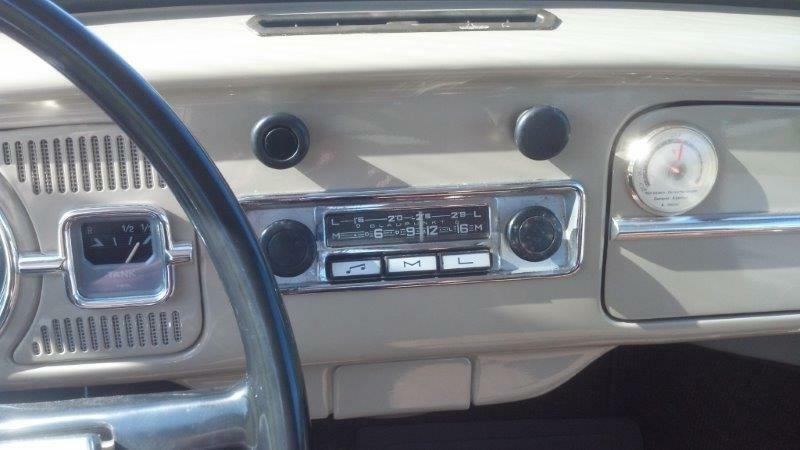 Really the car is like a 66 in 67 clothing. I got the car from the original owners grandson. He said his grandfather bought the car in Germany while in the air force and brought it back in 73.